Playing write along with its promotion to send someone to space. 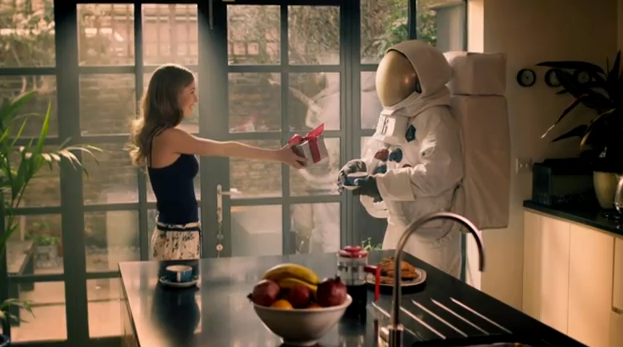 Axe/Lynx is out with a Valentine's Day-themed video which proves an astronaut never has to find the perfect gift. He always has one at the ready when his loved one presents his gift. The campaign is part of the brand's Axe Apollo Space Academy promotion which promises a few lucky winners into space.